The start of a new year invites us not just to look forward to the excitement to come, but to reflect on the year that has passed. For Fulldome.pro 2018 was full of unique projects & events, bright experiences, and new technologies. After reviewing of achievements, we highlighted the three most important technologies of the year. These are the ideal tools to create unforgettable & unique dome experiences in 2019! 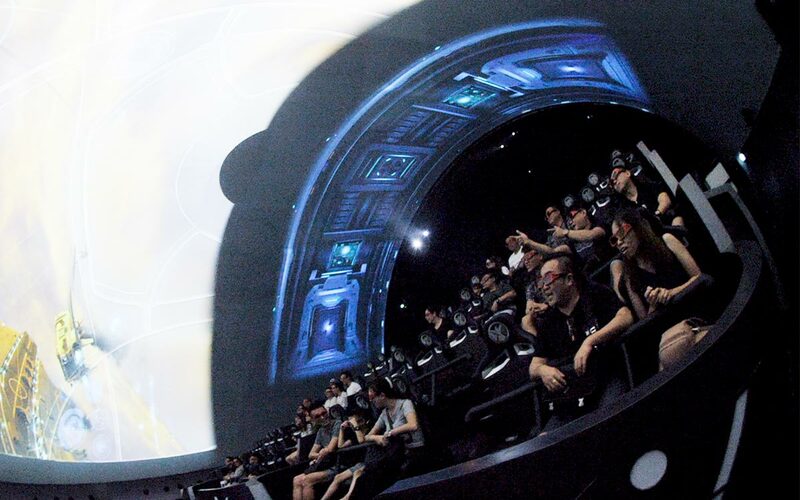 A fully immersive experience requires either a headset, which isolates the viewer, or 360°x360° projection which requires the construction of a substantial, expensive, and permanent facility. 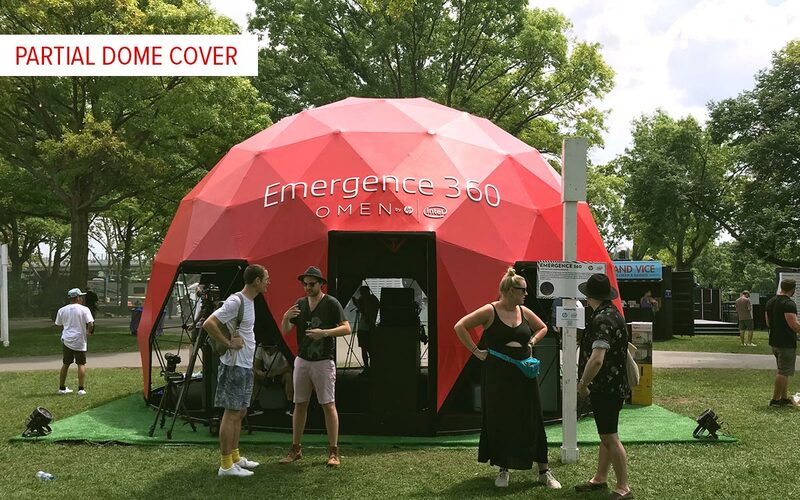 To create portable shared immersive experiences we built the innovative floor-to-floor projection dome with ultra-low screen line – the VR DOME. 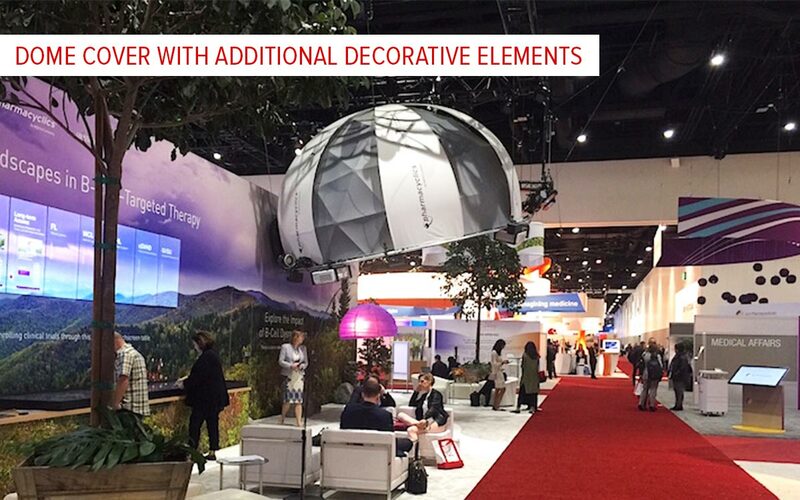 Perfect for expos and trade shows, the VR Dome is also a new more affordable way to create a flying theater experience. 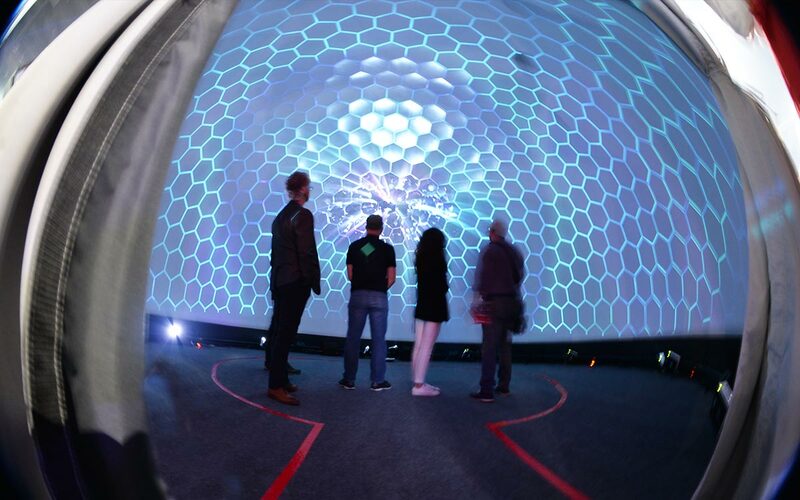 Fulldome.pro created a new solution for events, parties, and festivals. 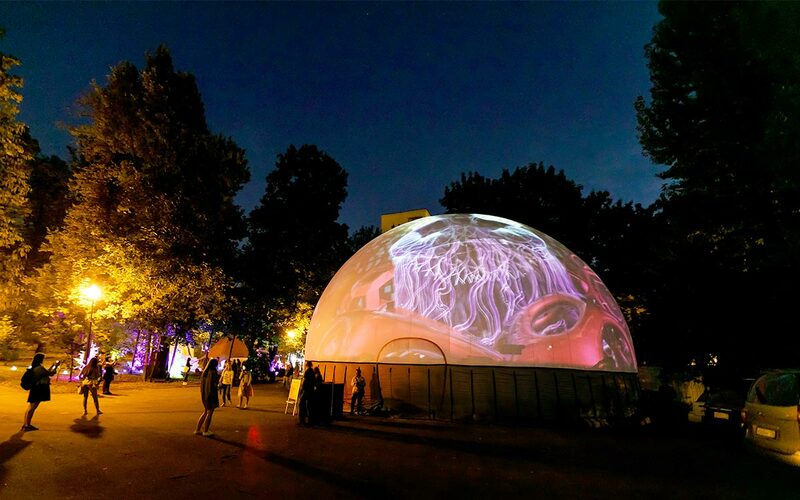 This inflatable event dome is made from a special semi-transparent material, allowing the internal projection to be viewed externally too. This technology decreases event costs by reducing the number and power of projectors required, eliminating the need for projection towers around the outside of the dome, keeping equipment inside and out of the weather, avoiding running cables across busy pedestrian areas, and reducing setup and break-down times. the quick and easy installation process. Having mastered the building of affordable and portable dome screens, in 2018 set about creating screens of different, irregular shapes. Our engineering team developed a new frameless technology to install our screens in any venue, be it a new attraction zone or existing building. 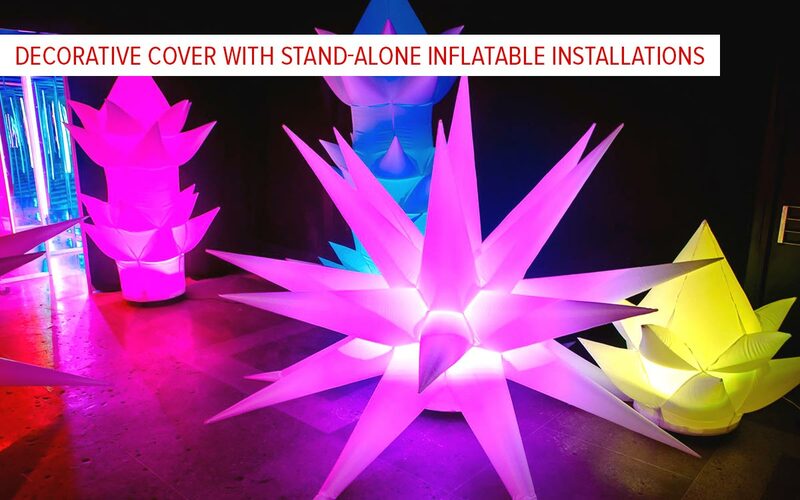 can be installed in an existing building without major structural work. 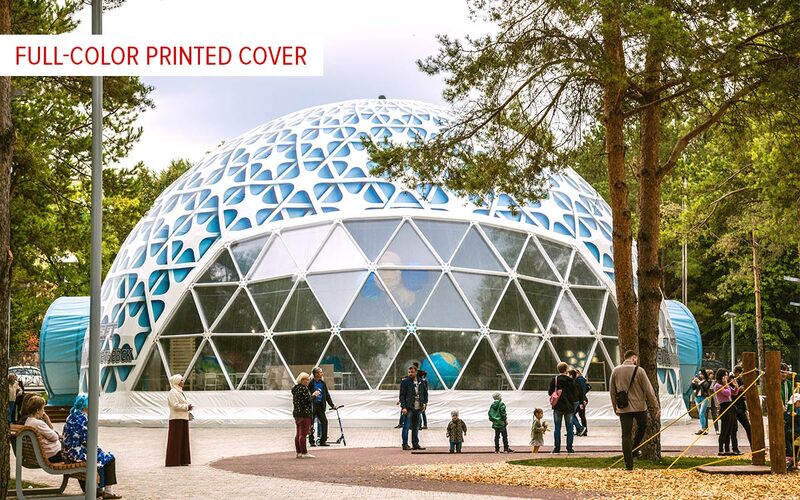 Fulldome.pro provides a range of decorative dome ideas. 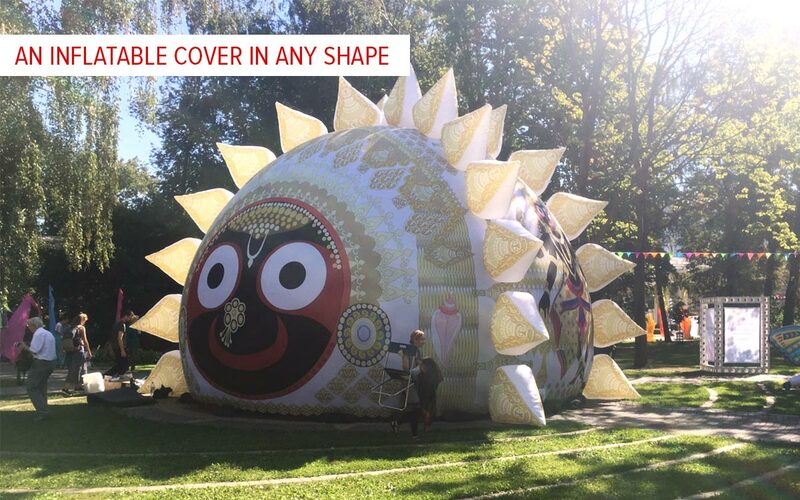 Choose a decorative cover from our variety of existing designs or make your dome unique and fully reflect your vision or company branding. 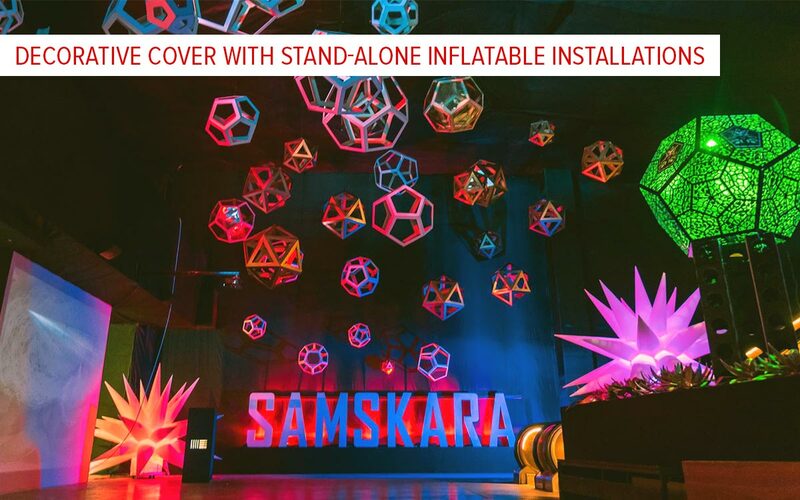 decorative cover with stand-alone inflatable installations.